Although we don't see very many, we do deal with the occasional pet. 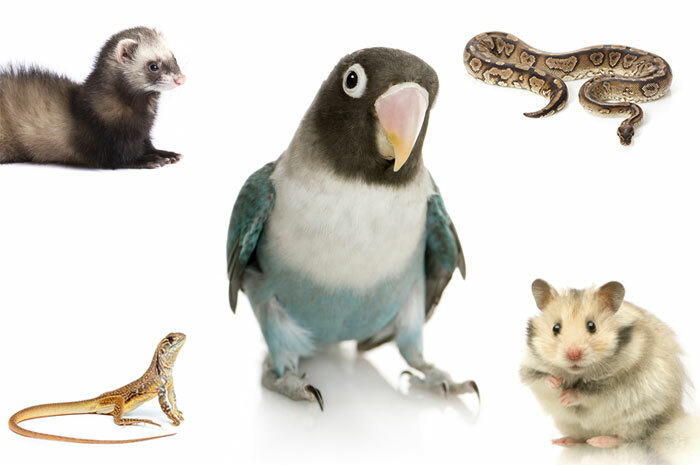 We aren't specialists in the exotic and pocket pet world, but we are fairly knowledgeable. If we don't have an answer for you, we will find it. However, because exotics and pocket pets are quite different from your typical dog or cat, we may not have the specific medication or equipment needed for them. Therefore, we many refer you to a specialist who is better equipped to deal with your pet. We are more than happy to do an exam, nail trim, beak trim, teeth trim, and prescribe some medications to your pet.